A while back, Brandie Gilliam, editor in chief and founder of Organic Beauty Talk, purchased a foldover clutch from my shop that is made from a wonderful print fabric designed by Iman, the noted supermodel and philanthropist. 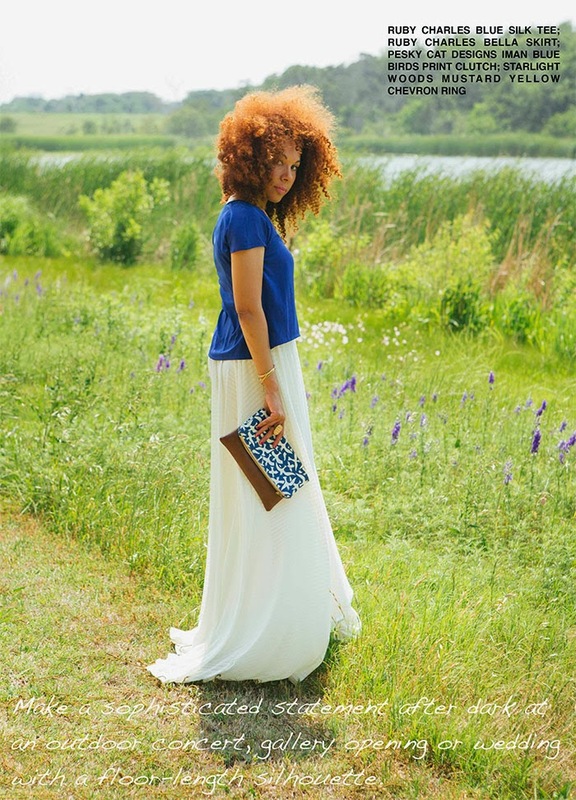 Recently I was excited to find Brandie modeling my clutch in a feature about her published in Zaji Girl Magazine and Organic Beauty Talk. She looks absolutely stunning! You can read the entire feature here and learn more about Brandie and her online resource for people looking to live a healthy lifestyle and want to be beautiful both inside and out. OBT highlights both product ingredients and wonderful natural and organic solutions. I highly recommend you check out her informative and inspiring website! That is the ultimate compliment, and what a thrill to see your work being modeled by such a beautiful woman, Elisa! Congratulations! Wow! I can only imagine how exciting it was to see your beautiful purse modeled by a beautiful model and in such a nice magazine. It comes as no surprise as your purses are wonderful but congrats!